With a ranking of 30th most popular hotel style properties in Agra, Hotel Regency is one of the more preferred accommodation options. Hotel Regency has a variety of room types to choose from. 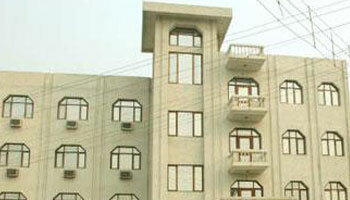 This 3 star property offers modern amenities and comfort in Agra. Hotel Regency brings a touch of comfort to a Agra trip. Airport Transportation, Travel Counter, Breakfast Services, Currency Exchange, Security Guard, Parking, Room Service, Laundry Facilities, Backup Generator, Doctor on Call. DVD Player, Iron/Ironing Board, Wakeup Calls, H/C Water, Attached Bathroom, Air Conditioning Room, House Keeping, Cable/Satellite TV, Toothbrush/Razor on Request.